ELIEN: The Location of Stargates around the World! Scientists believe that Stargates are doorways to wormholes in time! As it turns out, the government may have already known that. We'll reveal the secret location of stargates around the world and tell you who is trying to open them and why. 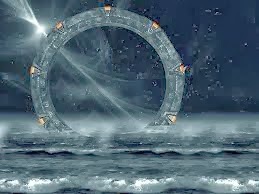 A Stargate is a portal device within the Stargate fictional universe that allows practical, rapid travel between two distant locations. 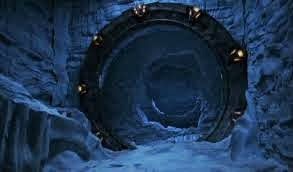 The devices first appear in the 1994 Roland Emmerich film Stargate, and thereafter in the television series Stargate SG-1 and related direct-to-DVD movies, Stargate Atlantis and Stargate Universe. In these productions the Stargate functions as a plot generator, allowing the main characters to visit alien planets without the need for spaceships or any other type of technology. 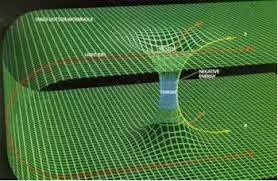 As space and time are relative, a person traveling through the Stargate may feel as though he or she is traveling for long periods of time while persons outside the Stargate would see instant travel. In one of the earlier episodes, Col. Jack O'Neill made a comment about it feeling like it took forever to travel through the wormhole. 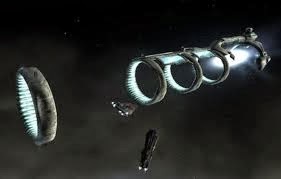 Within the Stargate fictional universe, Stargates are large rings composed of a fictional superconductive mineral called "naqahdah". Each Stargate has nine points (chevrons) spaced equally around its circumference which are used to determine the address being dialed. On the inner ring is a set of unique glyphs; on Milky Way and Pegasus gates, all but one of these represent star constellations, with the remaining symbol representing the planet or point of origin, while the meaning of the glyphs on Destiny-style gates is unknown. The number of glyphs is dependant on the network in which the gate belongs; Milky Way gates feature 39 glyphs, while Pegasus and Destiny gates have 36. Six of these symbols plus the point of origin serve to map out a specific location in space to which one can dial. Additional glyphs may also be selected which increase the distance of travel, allowing gates outside the current galaxy to be reached, a process that requires significantly more energy than interstellar dialing. Pairs of Stargates function by generating an artificial stable wormhole between them, allowing one-way travel through. A typical Stargate measures 4.6 m (15 ft) in diameter and weighs 29 metric tonnes (64,000 lb). 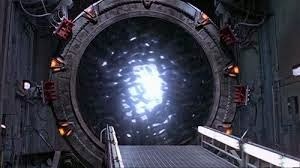 The Stargates were created millions of years ago by an alien civilization known as the Ancients; their modern history begins when Egyptologist Daniel Jackson deciphers their workings in the Stargate film. There is farther more "hidden" information about these Stargates around the world. They are extremely dangerous for mankind, if they are set on for both ways – in and out. Who knows what “world” it would connect us to, what could come through to our Earth, our world? But even the thought of visiting an alien “universe” being so attractive, would any one of you take the chance of actually trying it?